A deep emerald hue, sequins and a low back – a bold and vampish combination but one I’ve been looking for in a dress for a very long time. I wore this out for my friend Katie’s birthday two weeks ago. I should probably mention that the flash on my camera phone has contributed somewhat to my ghostly pallor, I’m pale but not that pale! 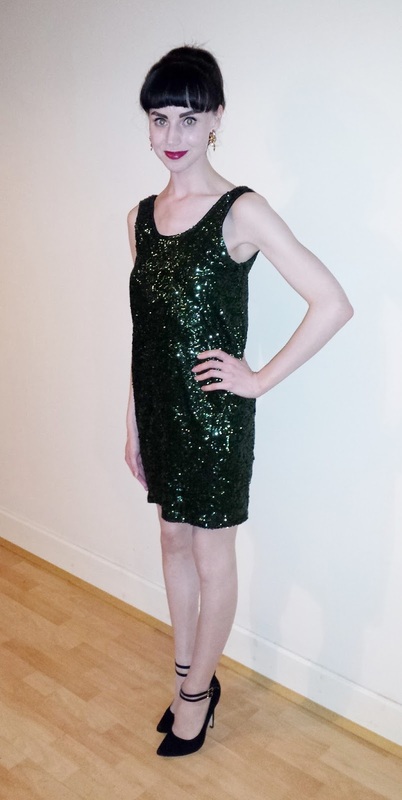 Are sequins just for Christmas? It's a great shape, not too restrictive = plenty of dancing!